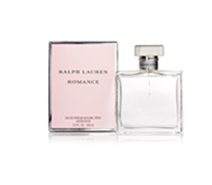 The challenge: To heighten consumer interest and department store display for Ralph Lauren Romance during the pre-Valentine's Day selling period in each of the brand's the high volume markets. The rapid buildup of consumer awareness. Themed sweepstakes in each market with winners receiving high-end “Romantic” getaways. Store appearances by local radio celebrities to excite shoppers and draw more visits to the Ralph Lauren fragrance counter at key retail locations. Quid pro quo airtime to reward retailers who supported the promotion. The brand retained its #1 position for the Valentine's Day sales period for each of the years of our program's execution.